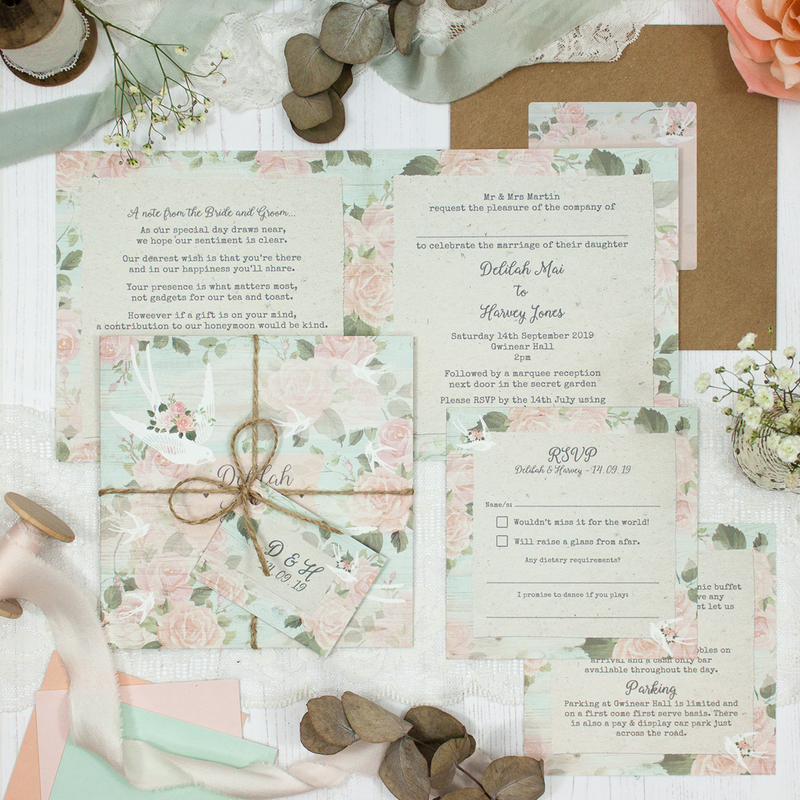 Wedding invitation sample pack including an RSVP, info card, string and tag, envelope and label in the Dancing Swallows Collection design. This collection was inspired when I was lying outside on the grass last summer. I stared up at the blue sky with the odd wisps of cloud drifting by and watched the resident swallows flit around as if they were dancing on the air together in a romantic daze. 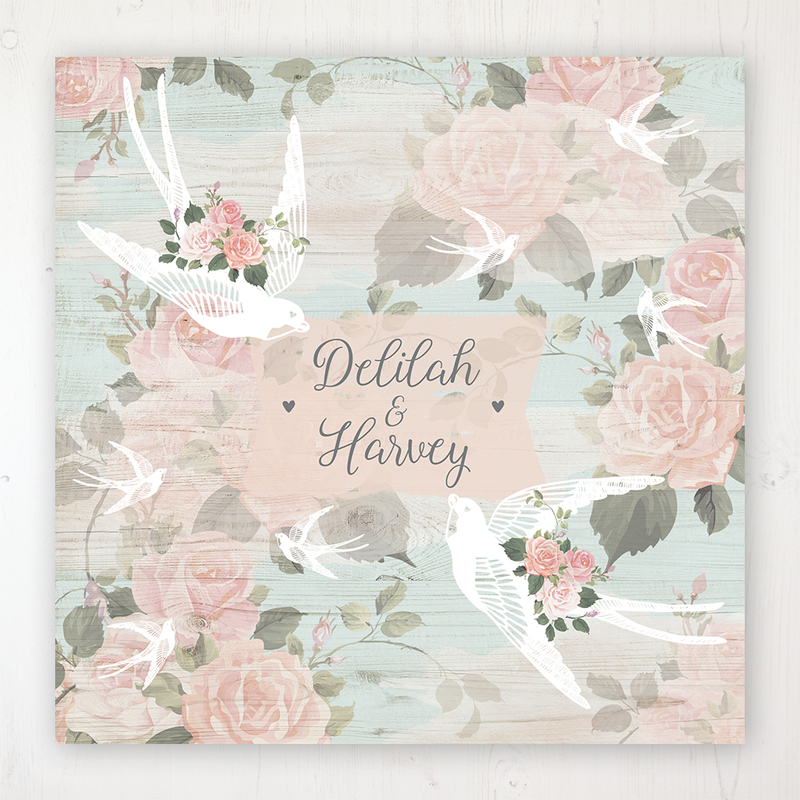 This collection is great for lovebird couples that want to infuse their feathered friends into their wedding. You’ve just got to name your tables after birds!